Intermittent fasting has become quite popular as a way to lose weight. 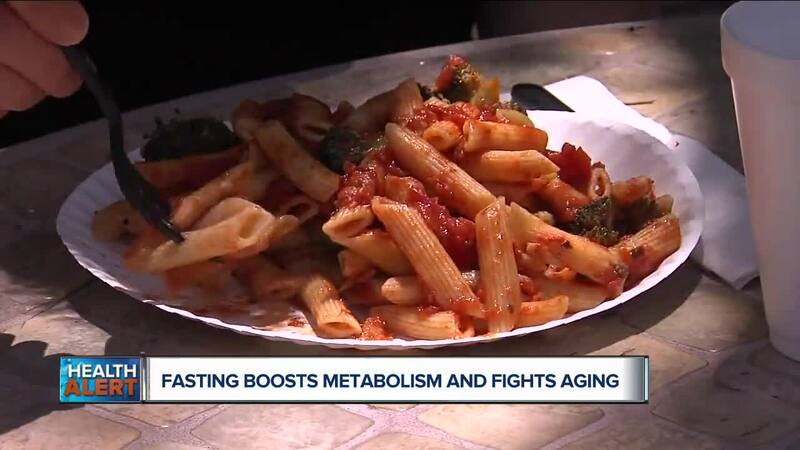 And now a new study has found it may not only boost your metabolism but also fight aging. Now we’ve heard before that Intermittent fasting can help people lose weight and possibly help them live longer too. That’s not new. But this recent study that was published in the journal Scientific Reports has uncovered previously unknown effects of fasting. So here’s what happened in this study. Researchers had four people fast for 58 hours. They took blood samples from each subject and analyzed them, looking at plasma, red blood cells and any changes to the levels of metabolites. Metabolites are any substance produced during metabolism. And what the researchers found was, 44 metabolites had increased during fasting. Of these 44, only 14 were linked prior. Which means 30 were previously unrecognized. And what was interesting, was that some of these metabolites increased 60-fold in all four subjects. Typically with age, metabolites decline. So it’s possible fasting could help when it comes to increasing longevity. 1. Make healthy food choices. 80% of the time chose vegetables, fruits, whole grains, healthy fats, and nuts. And cut back on unhealthy foods like processed meats, processed foods, sugar-sweetened drinks, and sodium. 2. Get regular exercise. And that can be things like taking the stairs instead of the elevator, housecleaning, gardening and walks around your neighborhood. The key is to move. 4. And lastly, don’t smoke, keep your body weight in the normal range, and drink alcohol in moderation. And remember, it’s never too late and you’re never too old to make positive changes that can really influence the quality of life and how long you live.